The learned public are already aware of the National Integration Languages series published by the Balaji Publications. On the request of the many we are now placing before the public another book to learn Gujarati through the medium of English. Gujarati is a language of Mahatma Gandhiji, the Father of our Nation. It is spoken in the state of Gujarat. Narasimha Maheto was the first poet, whose song of "Vaishnava janato tene kathiya" melted the heart of Mohandas Karamhand Gandhi and made him Mahatma. Gujarati is a sweet and melodious language. Dhumaketu. Umashankar Joshi, Sundaram, K. M. Munshi Pannalai etc are famous writers in Gujarati. There is a good gap between English and Gujararti Gujarati contains 45 letter while English has only 26. Therefore we have given dialectical marks to the letters to pronounce the letter correctly. This book is divided into five parts. The first part gives complete information about the alphabet. 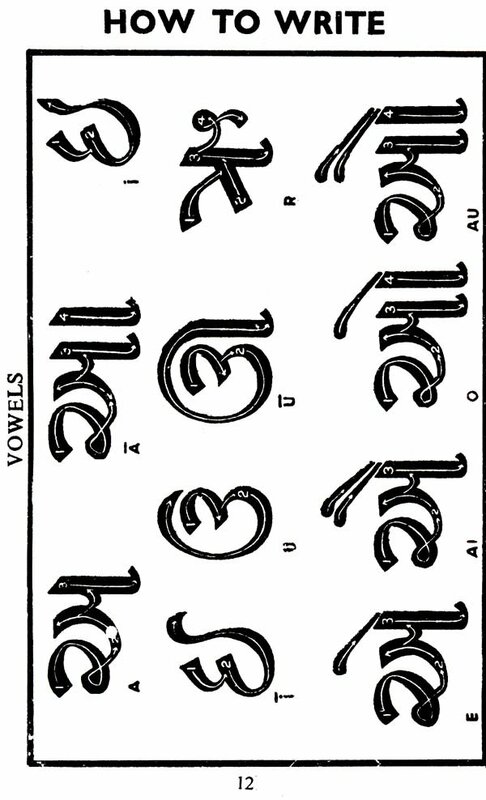 As in Hindi in Gujarati too the vowel 'a' is not pronounced fully in certain words. So we have given pronunciation for the words in this chapter. 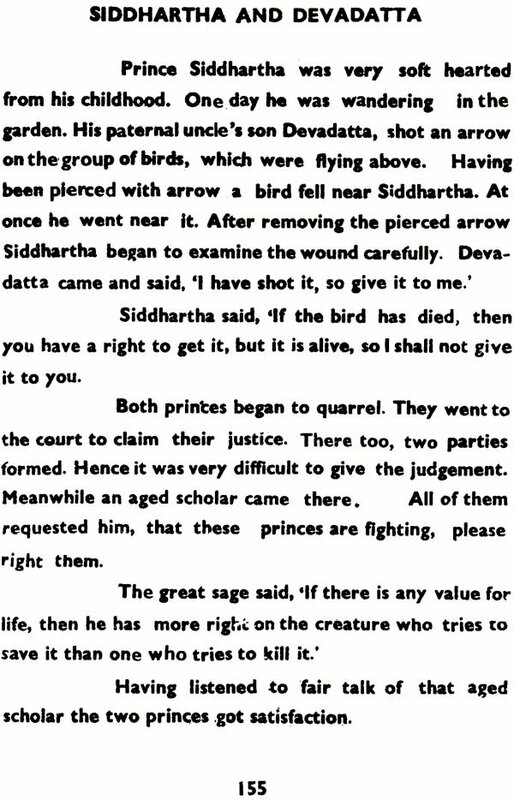 The Second Part deals with Gujarati commodities and the names of animals, birds etc. in this chapter about 500 words have been given with their gender, pronunciation and meaning. In the Third Part one can learn to form simple sentences. And also the forms of conversation on useful topics. The Fourth Part deals with grammer and contains simple rules regarding number, gender etc. 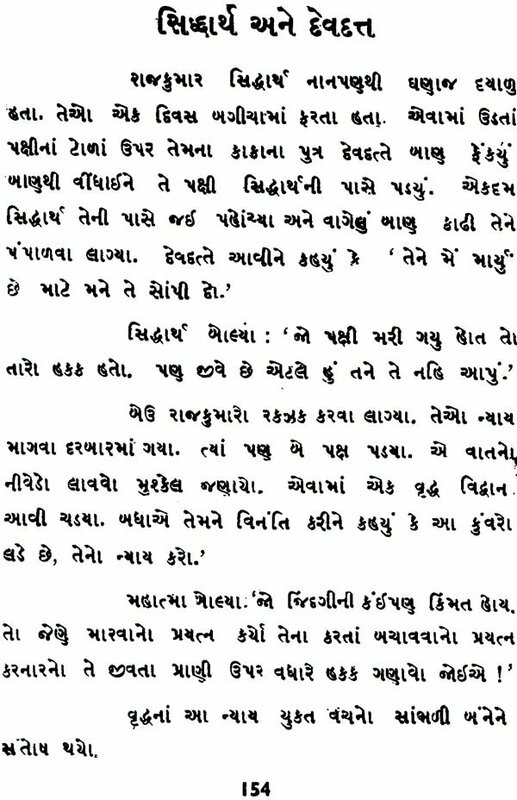 The Fifth Part consists of short stories which are famous in Gujarat and some simple and useful letters. It is hoped that this book will be a great help for National Integration. We are confident that this publication will find good appreciation from the general public and that we will meet with good encouragement at their hands or the publication of similar books. Lastly, I eel that it is my duty to record here my grateful thanks to the publishers for having given me an opportunity to write this book and all of whom devoted great care to the making of this book. Some years back while going through some book, shops I found books in the series of "LEARN THE LANGUAGE IN 30 DAYS" through the medium of English. These books were for the learning of four Southern Languages i.e. Tamil, Telugu, Kannada & Malayalam and Hindi also. All the vernacular lessons were given in English medium with correct transliterations in Roman script Though there were books to learn these languages through Vernacular & Hindi medium, this was a pioneer effort to get people from all walks of lie to learn vernacular languages, through English & Roman Script. 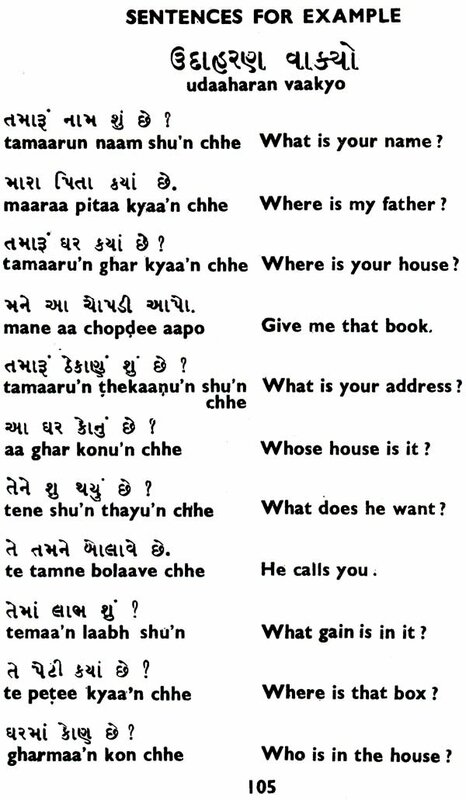 I though it will be useful if a book to learn Gujarati in 30 days in the series can come out. It is a great pleasure that Mr. Janakiraman, Proprietor of Balaji Publications has accepted to publish this book, Learn Gujarati in 30 days' as one of the publications of his NATIONAL INTEGRATION LANGUAGE SERIES. I had the privilege to go through this book of Mr. N. S. R. Ganathe, a linguist and a scholar. It is more commendable that Mr. Ganathe who knows the language well has tried his level best or a beginner to learn correct Gujarati through English Medium. 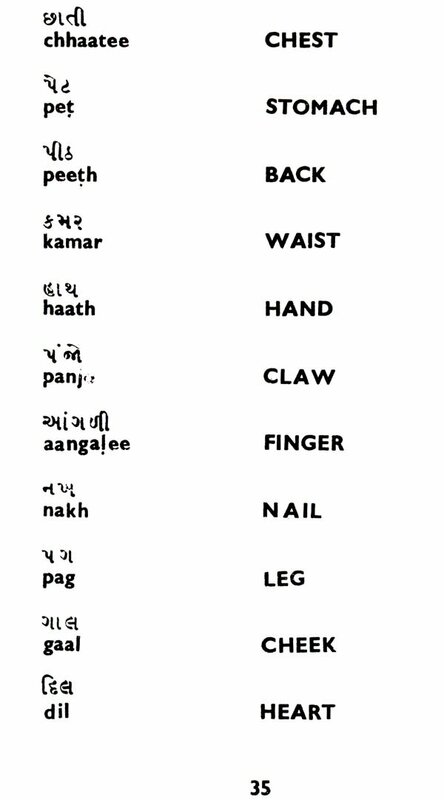 Gujarati is a little difficult language, particularly the genders & numbers having different struetures, but this book makes learning the language easy. Now-a-days people in cosmopolitan cities want to learn local language in shortest time. This book will be helpful to all those personas who want to learn Gujarati through English medium. My congratulations are due to Mr. Janakiraman of Balaji Publications who has taken this work as a humble service to THE NATIONAL INTEGRATION. This book is only the 'ABC' of Gujarati and what little knowledge, the learners acquire with this aid will enable them to explore and exploit the mine of knowledge that is treasured in Gujarati. Let us not be blamed or repeating to a fault that we have the interest of national integration in our heart and we will continue to contribute our mite to this noble cause. We have no doubt that this book will give us added strength. We will not rest on our oars till our object of national integration is achieved that is every one of us from the Himalayas to Cape Comorin should feel that he is an Indian first. To achieve this, our only weapon is our Language Publications. We know that it is the most effective weapon though it may give dividends only in the long run. Whatever honour and credit that this book brings us, the author has a share in it and we record our appreciation of the author's efforts and enthusiasm. Can U let me know the cost of the book, where can I buy from.